Where did April go? In the name of keeping it real, I will confess it was a month that got away from me, and my “wait until the Studio Calico* kit turns up then do the last month” system failed me. I had plans to deal with the photos over the school holidays, but something about having four small people underfoot distracting me in the best possible way put paid to those plans. Be honest, if you had a choice between sitting in front of a computer editing photos, or laying on the trampoline in the sun shooting the breeze and finding shapes in the clouds, what would you rather be doing? The fact that the kit didn’t arrive until the last day of the holidays didn’t help either. Then last week was taken up with getting the house back in order once the mini tornadoes were back at school, and this week was all about catching up on shop listings & popup shop products & custom orders, and well, the week just got away from me. I did, however, have photos waiting for me from last year, so in the spare moments I had that were Project Life friendly, I got busy and got caught up with November 2014. 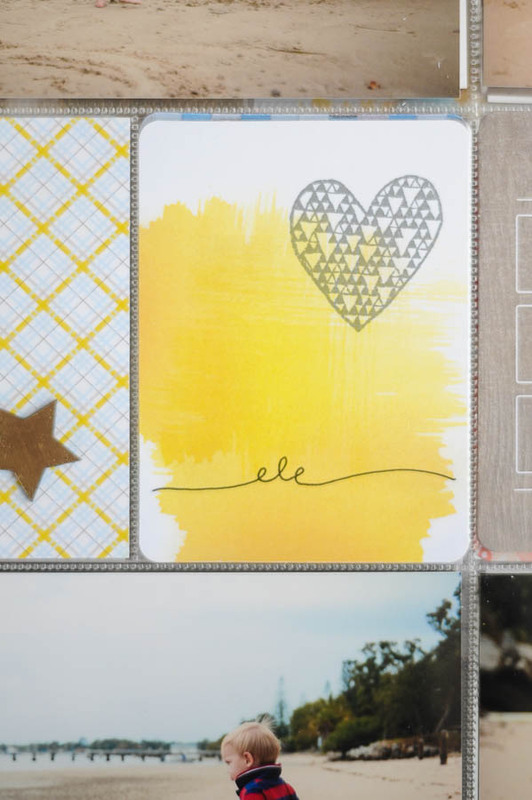 I kept it fairly simple, mainly sticking with the cards in the kit, sometimes adding a bit of washi (see the left card in the top photo – card from Studio Calico’s November kit, washi from Freckled Fawn) or a stamp & some doodling, like the card below. 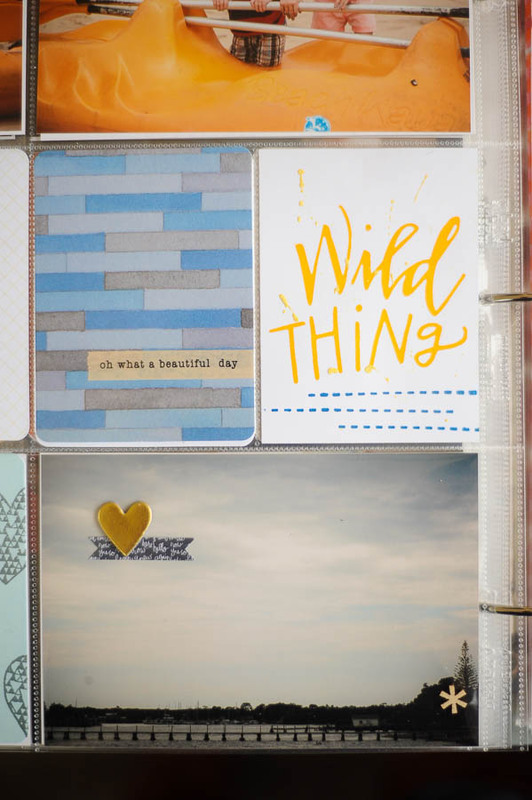 I also had a bit of fun creating the “card” on the right in the top photo – I’d used a half sheet of my 4×6″ paper pad to fill a space on the previous page, leaving me with a white back showing through. When I couldn’t decide on a card to slip in there, I instead used one of the kit silk screens to print the “wild thing”, then a dashed line stamp and some paint flecks finished it off nicely. No you aren’t the only one to fall behind. It happens because life happens. My tip is to dedicate a chunk of time to PL only and just smash it out. Using bigger chunks of time for me means taking less time to find my PL groove and I can churn out pages far more efficiently. Love your pages and your style. It’s very cool. Thanks Skip! I’m hoping to dedicate a couple of hours this weekend to getting March done and dusted! Nice! Oh I should do one of those! 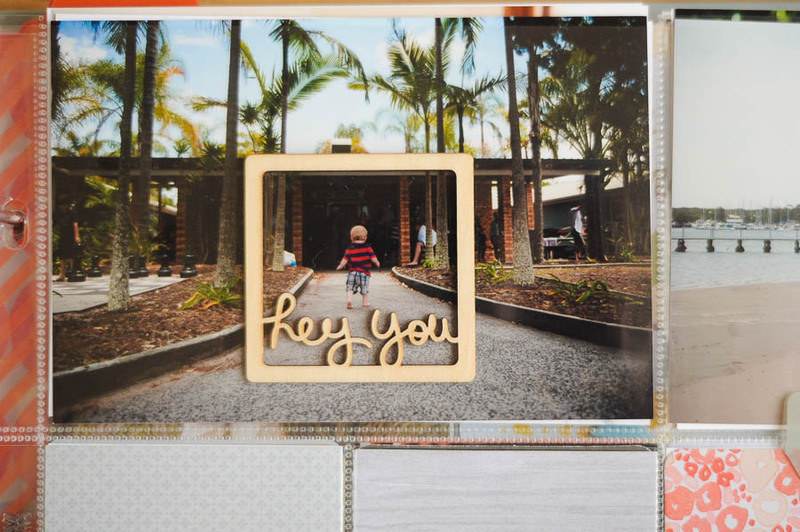 Project Life is awesome – pretty & easy in the one project, can’t lose! I’m not even going to say just how far behind I am… I’ll get caught up one day.